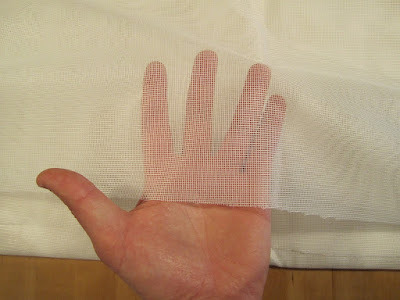 YSHIELD NEW-DAYLITE is a highly transparent polyester fabric with silver plated copper fibers. It can block, reflect and divert 99.7 % (-25 dB) of the RF(Radio Frequency)/MW(Microwave) EMF/EMR(Electromagnetic Fields/Electromagnetic Radiation) directed to it. The fabric does not block ELF magnetic fields from electric cabinets/equipment and power lines). 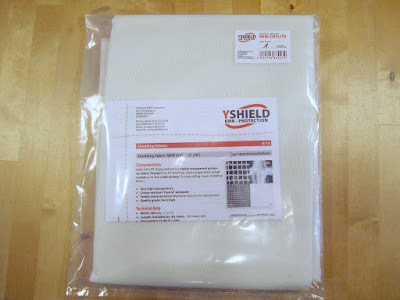 The YSHIELD NEW-DAYLITE is perfect to be sewed into a RF blocking curtain or RF blocking bed canopies. It is washable, easy for sewing but delicate.